What are the airdrops in crypto currency scene? Blockchain has turned out to be very good idea and there are lot of projects going on that will utilize it. In many cases they are also using some kind of coins or tokens, which have some value. Earlier those were sold to public in the ICOs (2007 over 5 billion was rised with them). But there were also some frauds and lot of failures. After SEC started look more closely after them, several projects have changed their model. Now they are selling those coins/tokens/shares to bigger accredited investors (less problems from SEC as they don’t need so much protection), and giving tokens for the public (almost) free. Those free token/coin distributions are called as airdrops. Why companies are giving tokens for free in airdrops? Practically the tokens/coins are free for the issuing company, so there is no problems giving them away if it helps the company. And giving them out will help in several ways. They will get users or “community” that have their tokens. Those people are then presumed to be more interested about the company and it’s success, as they have heard about it and they have invested interest to act for the benefit of the company as they own the valuable tokens. They may promote it and do marketing for them. Once the company will then launch the service it will also have users that have the needed currency / fuel to start using it. There has been claim that due the fake news many are starting to trust to reputations, and what would be better way to get reputation than to involve a lot of people with high hopes. Bitshouts has one nice article about successful airdrops cases that you can read more about here. 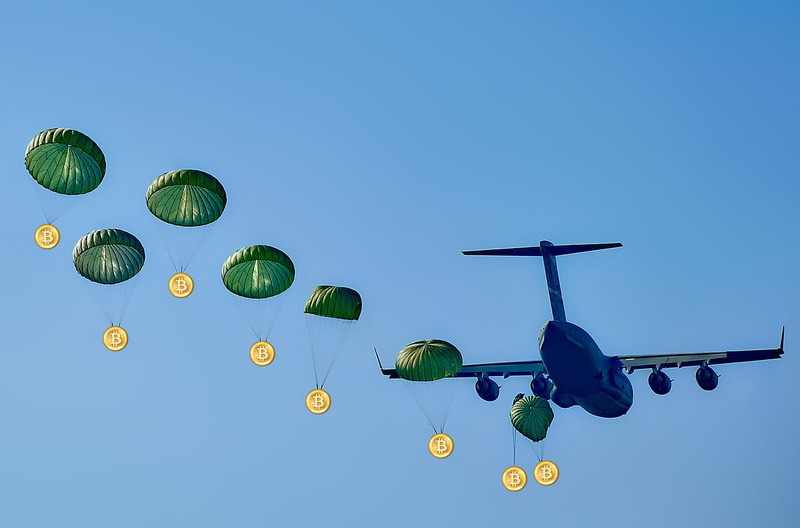 There are different types of Airdrops. Forks are actions when existing crypto is splitted and all current owners of that crypto will get new crypto without doing anything. Example for that is e.g. Bitcoin Cash. Deposits that means that somebody will just drop other coins to your account based on your current crypto ownings. Bounties that are actually small tasks that you will need to perform to get cryptos. For the Forks and Deposits only thing you need to do is to have a crypto wallet and some balance over there. Forks and Deposits happen quite seldom. You don’t have any control over them, but they are easy to participate. So go and create yourself a wallet and you are in. You can start e.g. from Coinmotion, and/or MyEtherWallet that I have also used. Bounties are different as there are lot of them going on all the time, and you can choose what to do and to which to participate. However, you will still need the wallet! There are of course lot of other sites that are listing airdrops, but I picked up here Airdrop kings as they have publicly commented that most ICOs are scams, but that they are trying to screen those out, and provide links only to valid ICOs. 3) Make sure the Airdrop is authentic. Scammers try to fool people to participate non-existing projects. Update 2019-02-22: I have unsubscribed from Airdrop King already some time ago as there was too much projects that were not interesting, and their ratings for project seemed to be way too optimistic.